Fay Canyon trail is a lovely walk on mostly flat ground (with loose stones of course), in the shade of Manzanita and junipers. From SR 89A turn right on Dry Creek Rd. and carry on to Boynton Pass Rd. The parking lot is on your left, cross the road to the trailhead. The hike is about 2.5 miles; but you can easily add an extra mile or two if you decide to view the arch, or hike beyond the rock slide. (The rock slide is not a maintained trail). The natural arch is less than half a mile in on the right, marked by two small cairns. The side trail to the arch is unmaintained, quite steep, and covered in loose gravel near top. 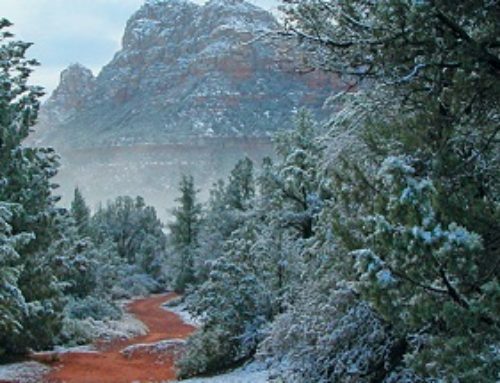 As the trail nears the arch, footing can be unstable and slippery. The trail leads to the area under the arch, and there is no access to the top of the arch. 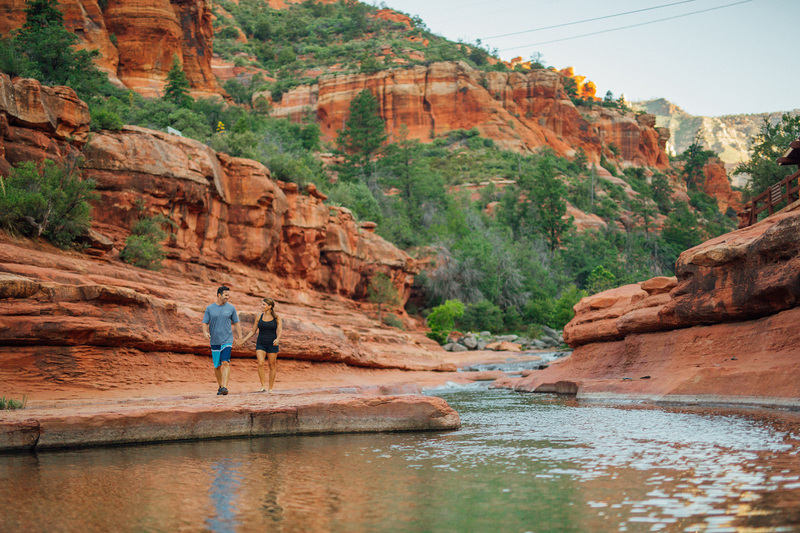 Back on the trail, the small, hidden canyon supports diverse desert plants and provides beautiful views of the surrounding cliffs. At the end of the trail is a rock formation. Scale them to the “top” and a magnificent view opens down the entire canyon! 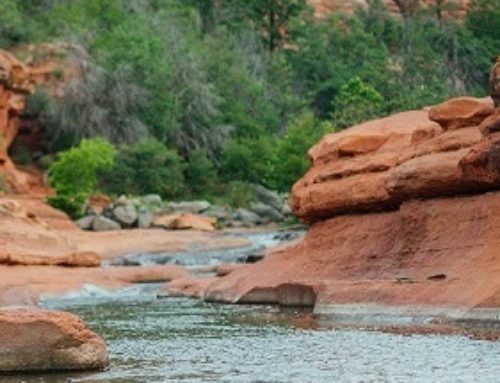 Whether you hike to the arch, or go beyond the maintained trail up the canyon, this hike is incredibly scenic, and very pleasant. 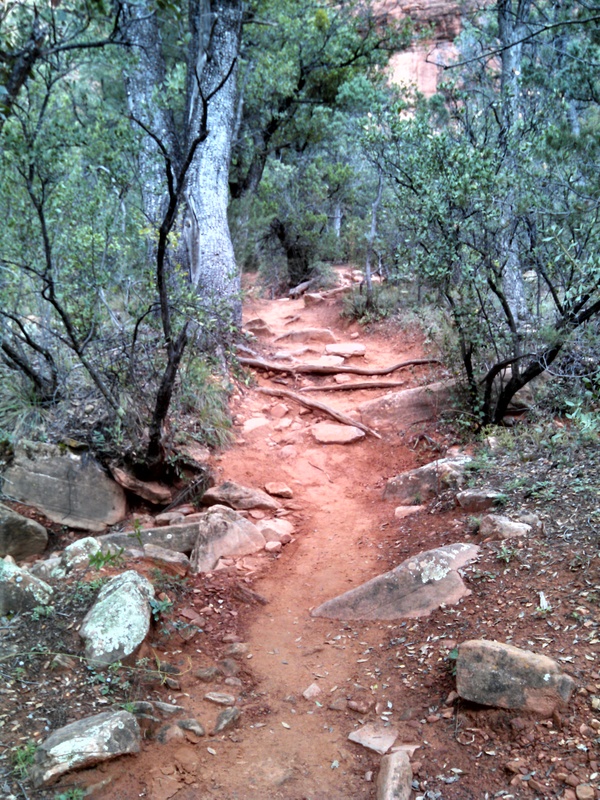 At El Portal Sedona Hotel we love to help our guests when it comes to hiking trails – where, when, difficulty, etc. 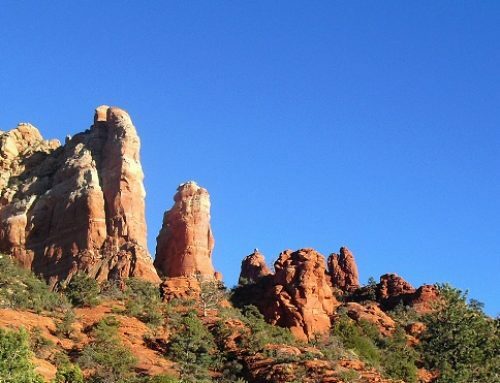 We provide our guests with personalized concierge services for the Sedona area. 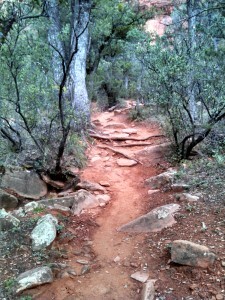 Take a trip to Sedona and do some hiking!